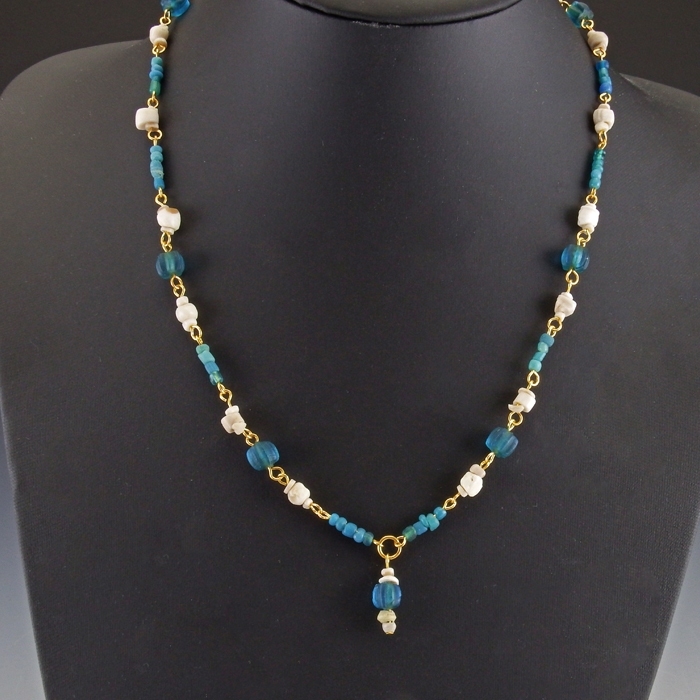 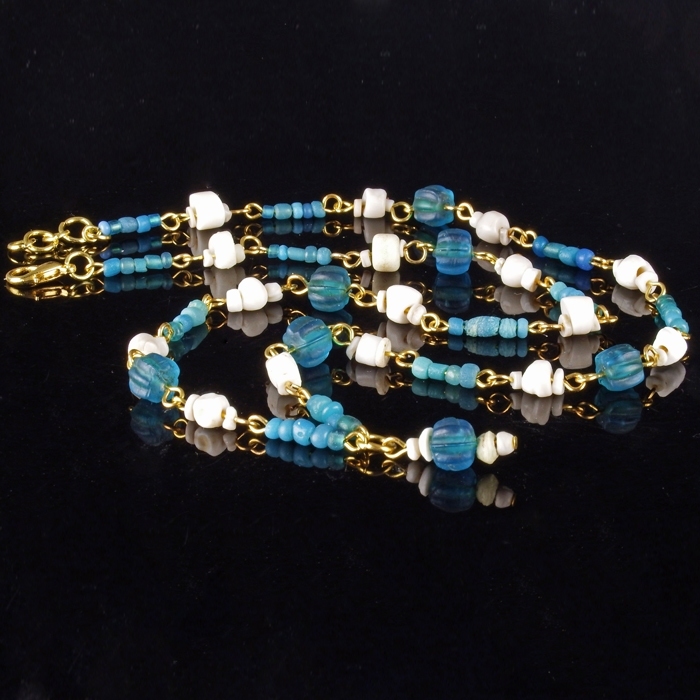 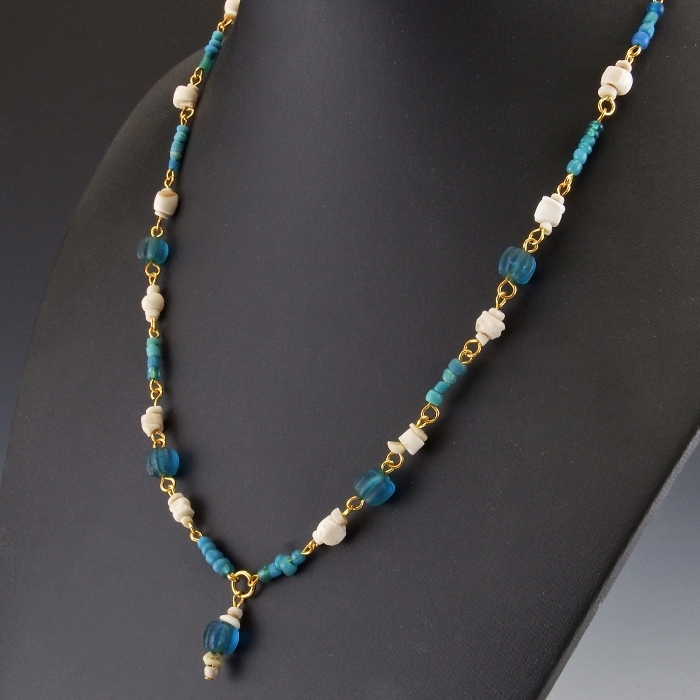 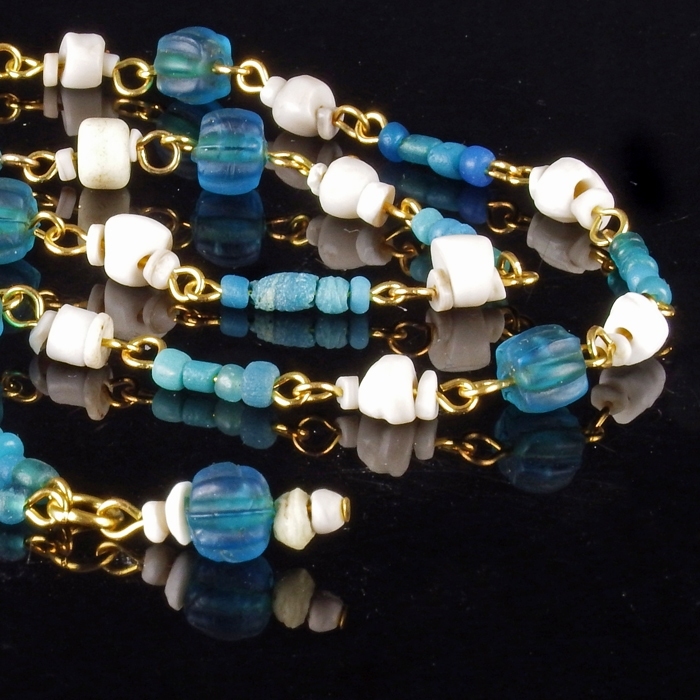 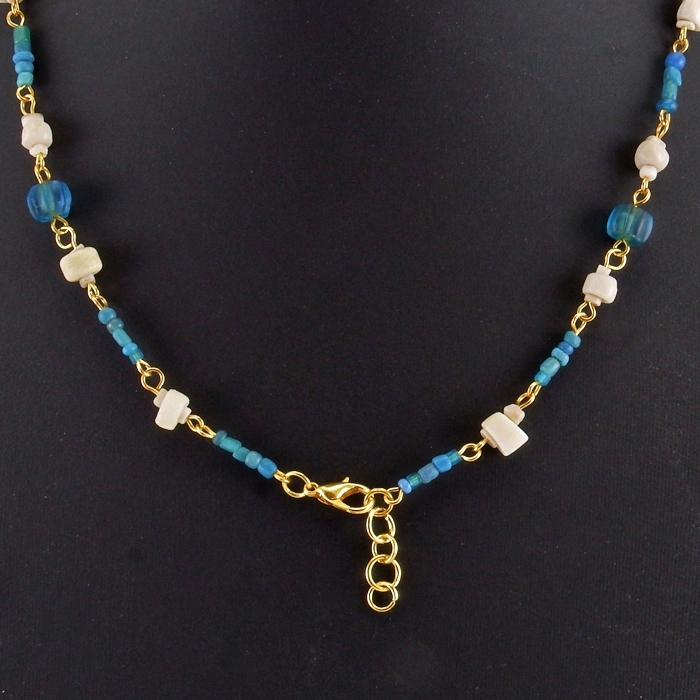 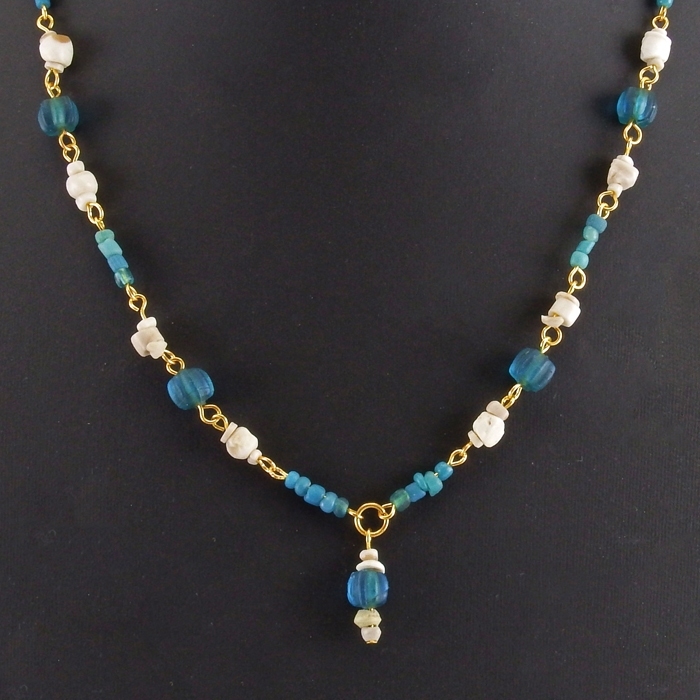 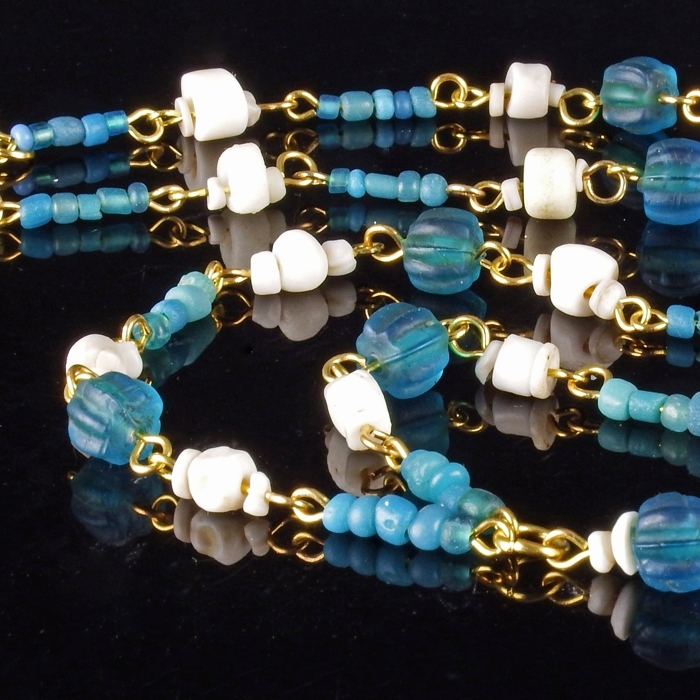 Necklace with Roman turquoise/blue glass and shell beads with a beautiful central drop pendant. 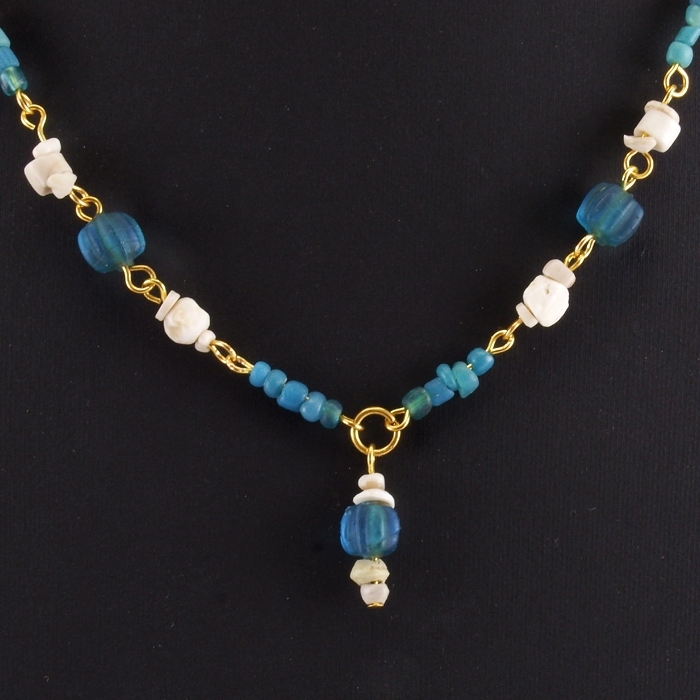 The necklace contains several blue glass melon beads. Restrung using authentic Roman beads with decorative spacer beads and wearable (clasp).